1. They offer discount coupons. Discount coupons make sense if you’re looking for a haircut or a massage, not for plastic surgery. “Don’t bargain shop when it comes to something serious like surgery. You want to make sure you research the average prices and if something seems too steep of a discount, beware;” Dr. Poulos says. 2. The surgeon is not Board-Certified. Look for credentials, someone who is Board-Certified in plastic surgery by the American Board of Plastic Surgery. If they are they usually have this credential prominently visible in their office and on their website. This means the surgeon has had at least six years of surgical training with two or three years devoted specifically to plastic surgery, has passed rigorous oral and written examinations and has demonstrated safe and ethical surgical practice. 3. They make lofty promises. 4. The surgeon’s operating facility is not accredited. 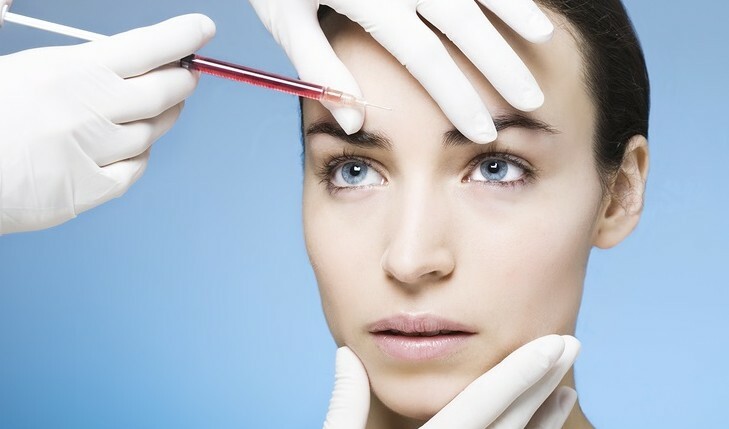 Often plastic surgery is performed in an ambulatory care center or the surgeon’s office-based surgical facility. “Either way, “you want to make sure the facility is properly accredited. Accreditation ensures that strict standards are met for proper equipment, safety, surgeon credentials and staffing,” stresses Dr. Poulos. 5. They try to “up-sell” potential patients. An initial consultation with a plastic surgeon should be a collaborative effort in which doctor and patient come to an agreement about which course of treatment is best. It’s reasonable for the surgeon to suggest alternative approaches, but that it’s worrisome if he/she uses high-pressure tactics. “Your surgeon may suggest consideration of more or different procedures than your initial request but should have sound reasons why this is his/her advice,” says Dr. Poulos. Related Link: Cosmetic Surgery: How Does It Affect Your Relationship? 6. The consultation is short and lacks professionalism. The first visit with a plastic surgeon must be a thorough, get-to-know-you session in which both patient and doctor determine if they can work together. Also trust how the overall consultation experience feels to you. Is the staff friendly and welcoming? Was your phone call handled professionally? Did they follow through on getting your promised information? Are they clear about all costs and how the procedure will go? 7. They’ve been censured or sued several times. “Just because a surgeon has faced a malpractice lawsuit doesn’t mean they are incompetent. In today’s medical climate, even first-rate surgeons are sometimes sued. However, “be wary of a surgeon who has been sued more than a few times or have been censured by the state medical board,” says Poulos. 8. They don’t provide before and after photos. If you’re interested in a procedure, you should see what the physician can do for you. One of the best ways to see the quality of work is to view before and after photos of their actual patients. If they won’t show you any, they may not have enough experience, or success in that particular procedure.